NEW NASA footage which filmed our planet from sunrise to sunset will help volcanologists following volcanic eruptions - while also putting a final nail in the coffin on the flat-Earth argument. The US space agency released a stunning video taken by a camera aboard the Deep Space Climate Observatory (DSCOVR) satellite. The spacecraft observes Earth from about one million miles towards the Sun, and is owned by the National Oceanic and Atmospheric Administration (NOAA). NOAA is a US scientific agency which focuses its attention on the conditions on the oceans and the atmosphere. This immense distance allowed the camera, named EPIC, to observe the entirety of Earth from sunrise to sunset. EPIC captured an average of one image every hour over summer and one every two hours over winter. Such a thorough study will help following volcanic eruptions and other natural phenomena. Alexander Marshak, deputy project manager for the mission, said: “Given EPIC's special vantage point and frequent observations, we are able to observe the daytime portion of the daily cycle of many phenomena. “For example, EPIC can follow a volcanic eruption or a fire plume during the entire day. “These measurements complement those taken by other low Earth-orbiting satellites, which view a particular location less often, in many cases only once or twice per day." The footage is used by NASA to monitor also cloud height and thickness, factors important for climate studies and weather analysis. But it should also provide with enough evidences our planet is round beyond argument. However, the belief Earth is flat has been gathering new strength and traction in the past years. While is difficult to determine with precision how many people do believe the Earth is flat, there are yearly conventions around the world, including in the UK, on the issue, each gathering hundreds of people. 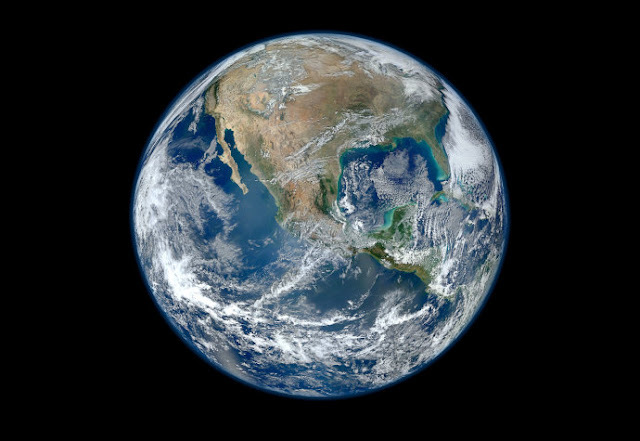 And according to a YouGov survey which polled 8,215 US adults on February 8, as much as a third of millennials have doubts over the fact that our planet is not flat. And 4 percent of them are “firmly” flat-earthers. And when looking at the whole of the population, 16 percent of those polled either firmly believe the Earth was flat or have doubts over it being round.